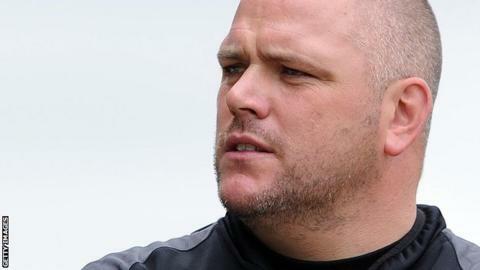 Morecambe manager Jim Bentley has signed a new contract with the League Two club until the summer of 2020. Bentley's assistant, Ken McKenna, has agreed a similar contract extension. The 41-year-old is third in the list of longest-serving managers in England's top four divisions, with only Arsenal's Arsene Wenger and Exeter's Paul Tisdale being in their posts longer. "This football club is very close to my heart," said ex-Shrimps defender Bentley, who took charge in May 2011. Morecambe, who are 21st in League Two, have endured a turbulent year with financial issues off the field. Graham Burnard, who represents majority shareholder G50 Holdings, told BBC Radio Lancashire on Monday that the club's financial future is secure for at least the next two years.